We are committed to see you entire family experience God, and that means Southbridge Church is committed to an awesome kids’ program. Our vision is to come along side you as a parent to help your kids to believe in God and grow up to become good people. We have developed a program that is specifically designed to meet the needs of your children, and we call it SouthBridge Kids. 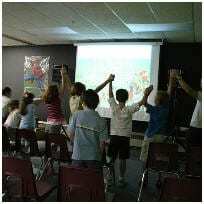 Kids infant through 5th grade have their own “church” on Sunday mornings while you are in service. We know that kids learn best in an atmosphere that is fun, fast, and most of all super-safe and well-supervised! 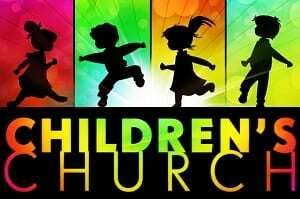 We take seriously the responsibility that you have entrusted to us by allowing your kids to be a part of our church in our SB Kids Program. Our workers are professionals who have been carefully screened and trained, with each one passing a thorough background check. Feel free to ask any questions about our workers or programs, observe your kids in their classes, and we encourage you to ask your children what they learned while they were in SB Kids that morning. All designed to teach your child about the love of God! To check your child into SB Kids on a Sunday morning, we recommend you arrive at church a few minutes before service starts. SB Kids check-in begins at 10:15am. Simply come through the front door and walk straight about 20 feet through the foyer to the check in station. There we will register your child and check him or her in. Your child gets a name tag and you get one to match that you will use to pick your child up after service. Then a volunteer will walk you and your child to their class or room. Simple as that. You will rest assured knowing our SB Kids areas are all secure and monitored. NURSERY: Ages birth through walking. Our student ministry (a formal way of saying youth group) is an oasis for teens and a welcoming environment for our kids' spiritual growth. Filled with live worship, challenging messages, small groups and all kinds of fun, we believe we it is a great place for teens to find their own place in our church. The kids will be moving to a new night, Tuesday, in March for their spring kick off. Until then, please contact us using the info below for a complete schedule of youth events.